Packed with red herrings, a list of suspects as long as your arm and sinister goings on, And Then There Were None is one of Agatha Christie's greatest murder mysteries. 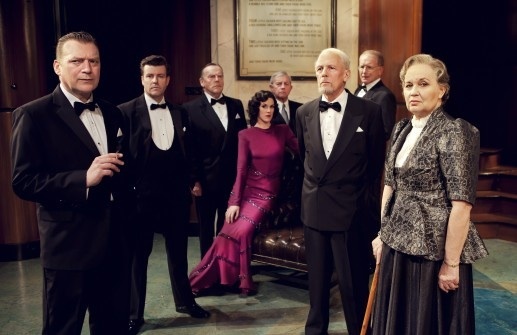 So, this production by the Agatha Christie Theatre Company is a welcome staging, especially as it stays very true to the novel. The UK tour is currently visiting theatres from Malvern to Bromley, Bath, London and Cardiff. The play opens with a group of strangers arriving at a remote island, only to find that they are cut off and the mystery person who invited them actually wants them all dead. One by one, we find out everyone's secret and it's a slick affair as we quickly realise that all of them have blood on their hands and the murderer is trying to atone for this. Bringing the story to life is an incredibly chic set of art deco furnishings, wood panelling walls and a grand terrace that makes you feel you can almost smell the sea. You can definitely hear the seagulls. The strong cast features a feast off TV celebs from yesteryear including Colin Buchanan, of Dalziel and Pascoe fame, Just Good Friends' star Paul Nicholas and Susan Penhaligon, from A Bouquet of Barbed Wire. Former Blue Peter presenter Mark Curry is amongst the throng as a suspicious doctor after turning his hand to acting, while Ben Nealon from Soldier, Soldier is a dashing ex-military man with a questionable past. Reuniting after working together on Emmerdale is also Frazer Hines and Verity Rushworth, who shines in a range of glamorous 1930s outfits as one of the key suspects. There's plenty of red herrings, everyone looks suspicious and the play moves along swiftly over three acts. The two brief intervals actually help to keep the excitement building and the scenes seem to fly by. Interest in Dame Christie's works has not wained over the decades and she has now sold over two billion books worldwide - outsold only by the Bible and Shakespeare. 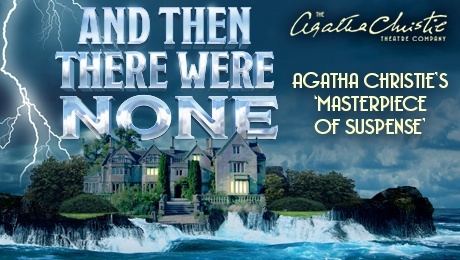 The Agatha Christie Theatre company marks its 10th anniversary with And Then There Were None, which is its 12th production. Run by Bill Kenwright, the company toured with Black Coffee last year but I'd say this is a much richer production than Black Coffee and, as touring murder mysteries go, it's one of the best I've seen. It is highly recommended to keep the little grey cells busy. Tickets from 0844 871 7620 or the ATG Ticket website. Tickets from ATG Ticket website. Tickets from 01273 764400 or ATG Ticket website. Tickets from 0844 871 7652 or ATG Ticket website.